At Genesis Unlimited, building websites for churches isn’t just a passion, it’s a calling. Our company name isn’t an accident. We believe that the church community should have a stronger presence on the internet than any other industry. The internet allows us to deliver the Word of God to all people in all countries. Your church has a message, and we want to help you get that message out. 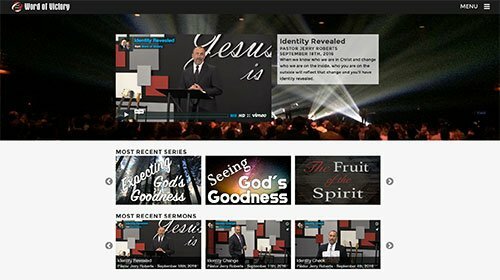 We can also work with your church to start streaming your sermons live on the internet. This is emerging technology and you’ll need to have the tools in house to do it. We’ll consult with you to make sure you get the right equipment and do it right the first time. 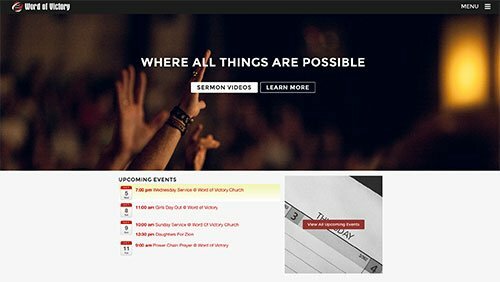 With our church website design, we’ll work with you to get your sermons online via Youtube, Vimeo, Podcast, or whatever technology you’re using. You’ll be able to list your sermons categorically, by topic, date, preacher, etc. And don’t worry, if you’re not doing any of this yet, we’ll work with you to make it happen. 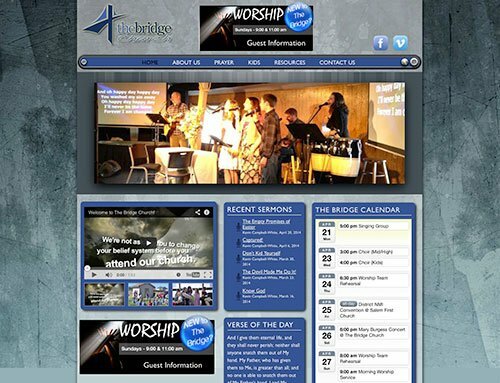 Our Church Web Design Packages start at $1500.